Timberline embraces an ethos which celebrates heritage, history, genuine hospitality, family fun, and a strong sense of place. As proud stewards and operators of this place for 64 years, RLK and Company has crafted a new 10-year master development plan. This “idea blueprint” was developed in collaboration with the U.S. Forest Service and in consultation with a stakeholder group that represented a large spectrum of the general public. Our vision recognizes the increasing number of Timberline visits and is dedicated to improving the guest experience. It ensures a sustainable future and pledges that Timberline remains authentic. Formal acceptance by the USFS is currently pending. Further formal review of the specifics of the plan will be conducted when separate projects are submitted to the USFS as “proposed actions". R.L.K. and Company, holders of Timberline's use permit, hired Sustainable Northwest, a regional non-profit, to organize and lead a series of public engagement meetings focused on gathering stakeholder input on projects proposed for inclusion in the updated Master Plan. The meetings served as a venue to gather feedback, but also as an important opportunity to reconnect with community leaders and key members of the public. 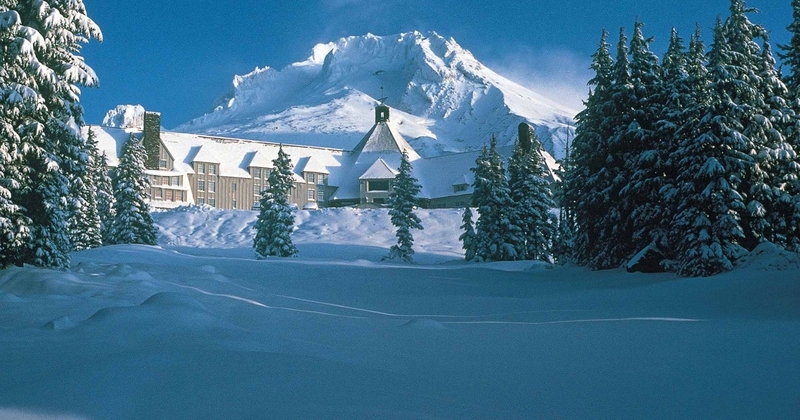 This Timberline Lodge and Ski Area Complex Master Development Plan (MDP) is intended to be the guiding document for future development at Timberline Lodge. 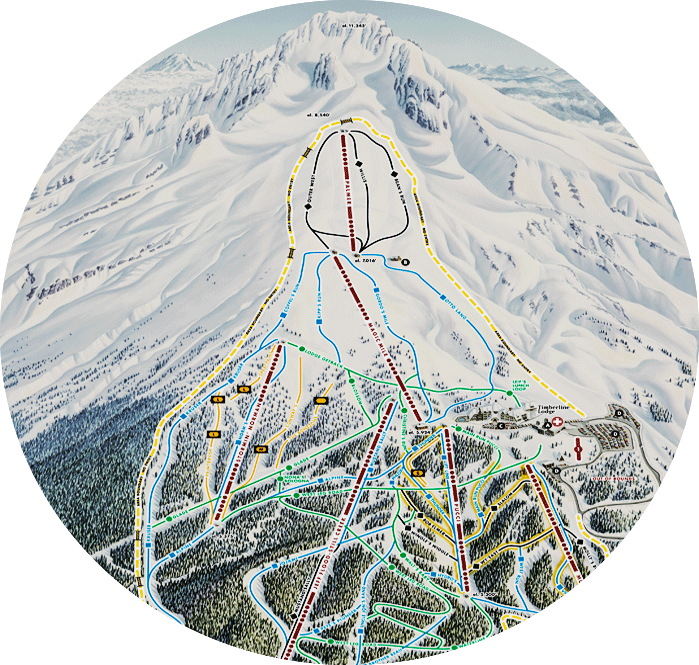 This MDP evaluates facilities at Timberline that are primarily related to the ski area operations and contemplates an improved beginner experience, additional parking, snowmaking, a snowplay area, and a new vehicle maintenance shop and ski patrol headquarters. 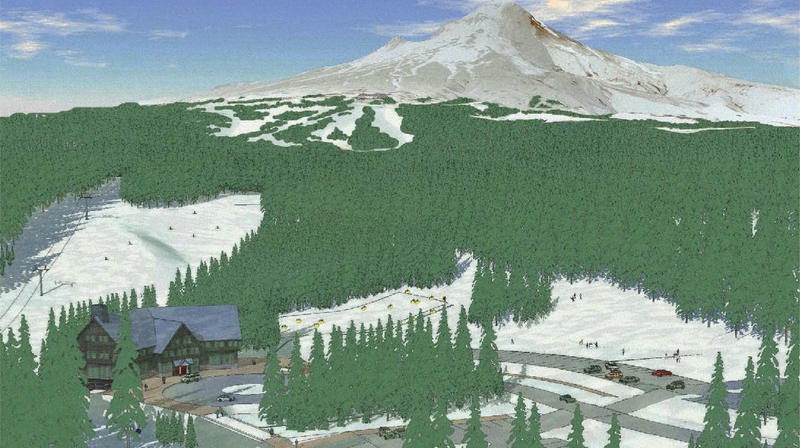 In order for Timberline to achieve its goal of providing excellent customer service, and to accommodate entry level skiers with a quality first time experience and learning environment, a reconfiguration of the Bruno’s beginner hill is necessary to improve the progression from first time on skis to initiating controlled turns on steeper slopes for speed control. Some re-grading of the previously imported top soils would be employed to provide a slope more conducive to instructing first time skiers and snowboarders, and to provide grades to enhance their progression of skills. The goal would be to provide a consistent grade optimal for beginner level skiers, as well as some varying terrain grades where skiers can best start and stop on their own, while learning to control their speed. Two new carpet lifts would be installed to provide optimal use of the terrain, and the existing Bruno’s Chairlift would be replaced with a new carpet that is aligned to take greater advantage of the slope length available at this area. A central project of the Upgrade Plan is the new portal at the bottom terminal of Molly’s Chairlift. We envision this area would appeal to a diverse network of user groups. In addition to a satellite parking lot, Molly's Portal would include an entry plaza and a day lodge of approximately 15,000 square feet with a guest service counter, tickets sales, food vending services, a seating area, and an outdoor deck. Outside, we would offer managed snow tubing as well as a place for people to play in the snow and perhaps gather around a fire pit. To improve operations, we would construct a new building, immediately south of the existing maintenance shop, or modify and add on to the existing shop. The facility would primarily serve as a garage for the snow grooming vehicle fleet and a storage area for supplies and equipment. It could also house the ski patrol headquarters and medical/patient care facilities, and serve as the search and rescue command center. With the threat of climate change, it is a real concern for us to ensure snow coverage on lower mountain terrain, particularly in the early season. An expanded snowmaking system is an important part of our plan. The planned snowmaking coverage would extend from the top of Pucci Chairlift to the base of Jeff Flood-Still Creek Chairlift, following Main Run Pucci down to lower Uncle Jon's Band. An added benefit to this system would be the ability to combat the increased threat of summer wild fires. J.S.K. and Company, a sister company to R.L.K. and Company, recently acquired Northwest Nordic Inc., the company that owns and operates Summit Ski Area in Government Camp. Looking ahead, we believe that responsible development of the Summit Ski Area can provide an accessible and first-rate year-round alpine park for a network of diverse user groups. We also believe that through smart planning and thoughtful improvements, Summit could be the catalyst to providing solutions to many of the mountain area's transportation and parking problems. A separate Summit Master Plan will be developed starting in March 2019. J.S.K. and Company hired Sustainable Northwest, a regional non-profit, to organize and lead a series of public engagement meetings focused on gathering stakeholder input on projects proposed for inclusion in the updated Master Plan. The meetings served as a venue to gather feedback, but also as an important opportunity to reconnect with community leaders and key members of the public.